Well, that went a lot faster than I expected. 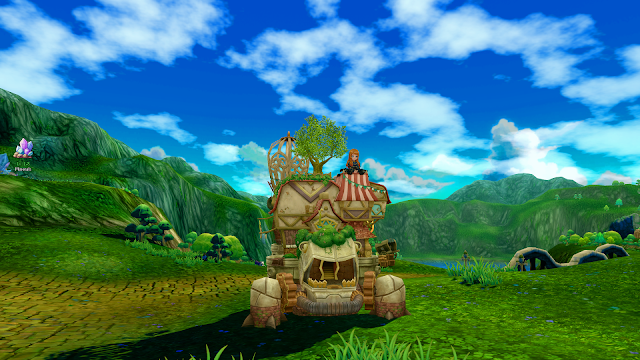 Only yesterday I was speculating whether I'd last long enough in Twin Saga to makes it into the twenties and get my Terracottage and here I am this morning, riding around in one. After I finished in GW2 last night I went back to play some more and this morning when I sat down at the PC after breakfast I realized this was still the game I wanted play. I put in another three hours or so and now I'm a homeowner. I was somewhat tentative about posting twice in a row about a game that, most likely, no-one reading this is even going to bother to download. Nevertheless, it's what I'm playing and also what I'm thinking about so I guess we'll just go with it. There's also an issue of fair reporting to consider, or fair reviewing, if you consider this to be a review, which it kind of is. One of the very specific things I drew attention to in yesterday's post, the fruity tone and overripe prose, just seems to vanish around the time you leave the starting areas. There's a major tonal shift from nudge-wink to gosh-wow! It's as though the writer and the translator both got up, took a walk to stretch their legs, came back and noticed what the game they were working on actually looked like. And who the audience might be - either tweenage girls or people who think like them. That may not be an accurate assessment of the playerbase. It's the internet, after all, and as we know, everyone on the internet is a 57 year old trucker from Boise, Idaho. Still, it's quite hard not to assume the developers were targeting a very particular demographic when they came up with Rita and The Kitty-Cat Crew. If Twin Saga has a screenshot function I haven't been able to find it so I'm relying on good old FRAPS and sadly I didn't have it running when I bumped into Rita. Someone on YouTube did though so if you're interested you can share the entire experience vicariously. Ailurophobes and diabetics beware. Also anyone who considers themselves to have either taste or standards. It's probably not a good idea to dwell on why, but I'm enjoying Twin Saga more than just about any Eastern MMO I've played since...well, probably since Zentia. I suspect this may have something to do with TS being Japanese rather than Chinese or Korean in origin but then again Zentia was Chinese so maybe not. Anyway, it's good. It's also coherent and easy to follow, which is not something I've been able to say about any imported MMO for a long time. So far it has a single, linear plot that makes sense. Okay, it's the regular nonsense about gods and goddesses but it's clear who is who, what happened to them, what they need to do about it and what your role is. It may be that I've now played enough of these games to get an intuitive feeling for the "break it down and re-use it" progression mechanics they all use but for once I had no trouble working out the specifics of how to improve and upgrade my gear. 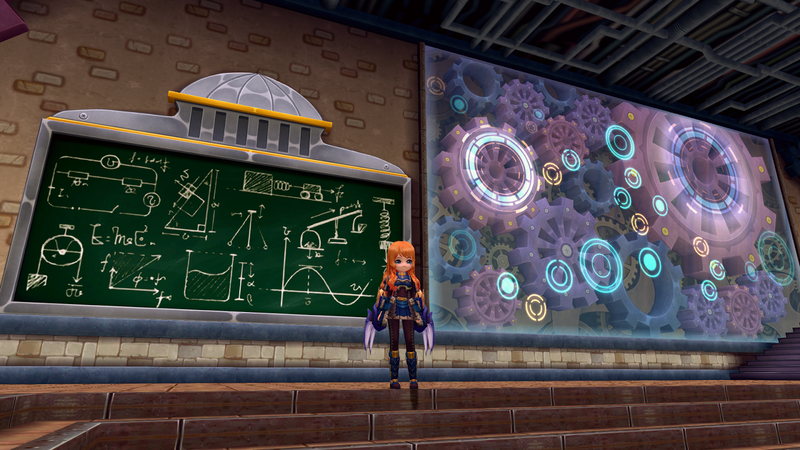 It's also because Twin Saga is one of the most ergonomically acute MMOs I've ever played. The UI is a model of efficiency. I found it immediately accessible and understandable. I didn't really need the tutorial tips but they're there and they're among the best I've seen. Twin Saga is a very comfortable game to settle into, with a very shallow, gentle learning curve. That said, the Terracottage has turned out to be a bit of a challenge. You get one for nothing at level 21 as you progress through the Main Questline and it functions both as a house and a mount. It took a few mouseclicks and some trial and error to work out how to spawn and unspawn it and a few more figuring out how to get inside. Once I was in there I somehow managed to set the shared storage so that no-one can access it, not even me! I think that was mainly because I'd become so (over) confident by then that I didn't bother listening to the NPCs as they explained everything. That's also how come I have a chair that I don't know how to place. Nothing the wiki won't sort out, I'm sure. The Terracottage itself is fantastic. It really is. 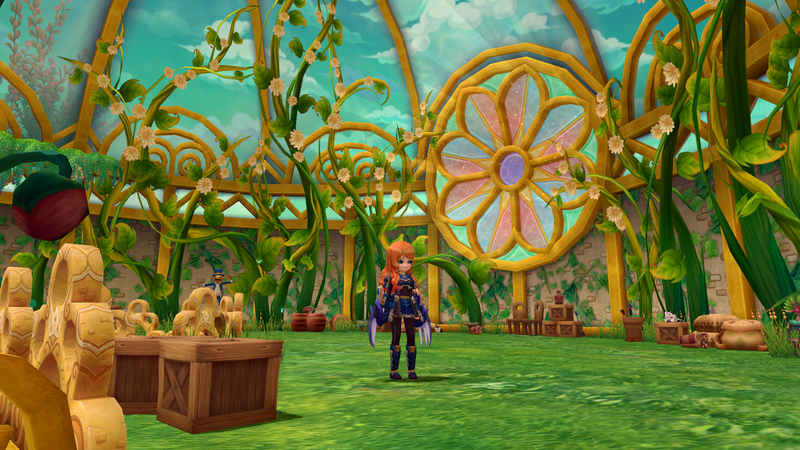 It has three floors - the Hall, which you can decorate, the Greenhouse, where you can grow genetically mutated plants and then cook them, and the Workshop, which is a full-function crafting center. All three settings are quite stunning. 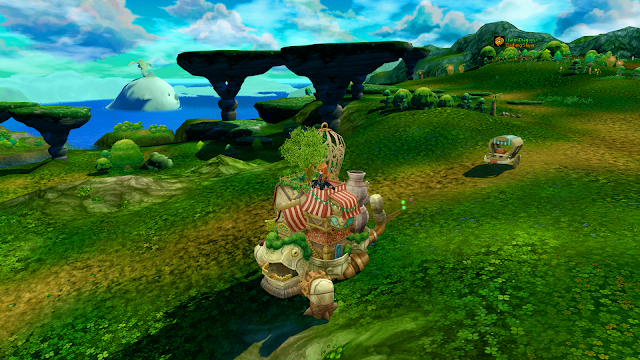 Indeed, every setting in Twin Saga is stunning. It's a gorgeous game. Once again, as with Revelation Online, I've scarcely explored anything or anywhere. The on-rails auto-questing mitigates very strongly against doing so. Yet I feel as though I have. There are so many wonderful, rich, strange sights that it's as if exploration comes to you without you having to go looking for it. In the early twenties I notice leveling speed beginning to slow. I see from the map that there are at least sixty-five levels. There's three-quarters of the overland yet to see. I could be here a while. Just as well I have somewhere nice to live. You certainly have me at least -thinking- about giving it a try! I think this is a real case of "If you like this sort of thing, this is the sort of thing you'll like". It's absolutely not going to change anyone's mind about bright, silly, childish Eastern imports which almost play the game for you. In fact, if that sounds horrible then this is going to confirm all your fears and prejudices and then some. On the other hand, if you're already in the market for something along those lines, then this is about as good an option as you're likely to find. I always enjoy your blog posts about games I've never even heard of and may or may not be interested in, so I'm very glad you wrote this one! They're interesting and in the case of Twin Saga you've got me curious enough I have at least considered a download. When I started this blog and for a long time afterwards I paid no attention at all to having an "audience". I just wrote for myself. I still do, mainly, but after doing it for this long it's impossible not to notice that there are readers and that certain topics get more traction than others. Also I do have a tendency to get over-excited about new games, ramble on about how great they are for a few posts and then never mention them again, so I'm a little wary of leading people on. As I said to Jacob above, though, if this looks like something you'd like then it's probably worth a go. I've played a lot worse. A lot! I have it installed, I keep meaning to play it some more. 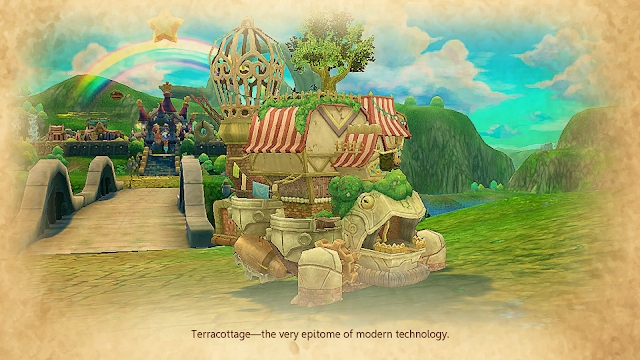 A really cute game and the housing reminds me so much of Howl's Moving Castle. The game just reminds me so much of Aura Kingdom, which I already play. Glad to see you enjoying it. I hope the housing items are easier to acquire than in AK, they can get pretty price there and require you to craft them. I think that is why I put it off, not really knowing. 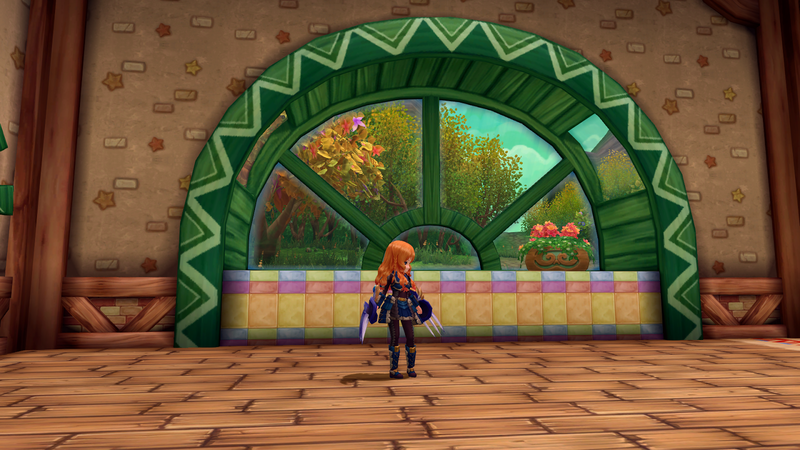 It sure is cute, makes me feel like playing but I am soaking up bonus xp in TOR, lol. The Kitty Cat Crew one I just scanned to see it covered the whole quest including the cut scenes. Took me about 2-3 minutes. Wouldn't have needed to if I'd had screenshots of my own, obviously. The Mousie one I watched about ten minutes of on my tablet in bed before she wore me out - I like her but she's SO excited ALL the time it's exhausting. It's true that I almost never watch play-throughs or streams - the main exception being guides for jumping puzzles in GW2 or dungeons in EQ2 but I do sometimes watch a few minutes when I'm on my tablet last thing at night. Mostly if I'm on YouTube in the first place I'd rather trawl for new bands though.